Mentioned in the saying 'Ceo ar Mhuisire is Clárach lom, an comhartha soininne is fearr ar domhan', 'Mist on Mushera and Claragh is the best sign of good weather in the world'. There is a hill-fort on the summit of Claragh. 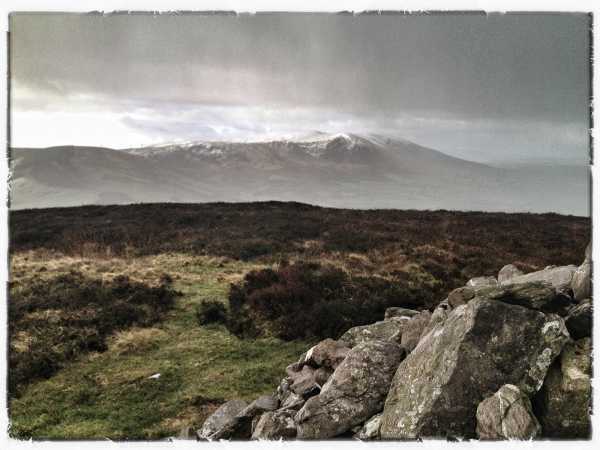 Claragh Mountain is the 726th highest place in Ireland. Claragh Mountain is the most northerly summit and also the second most easterly in the Paps/Derrynasaggart area. A quick loop with fine views.